Are you creating a collage using Google’s Picasa 3 collage tool? 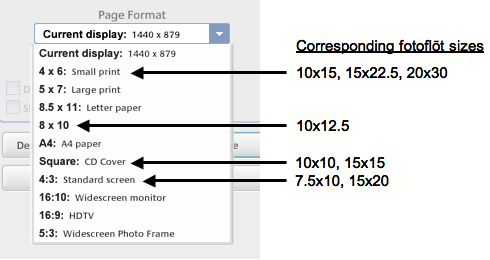 Unsure how the Picasa collage sizes relate to fotoflōt sizes? That’s understandable – several of the Picasa collage Page Format options translate directly to fotoflōt sizes, but it’s not obvious how. Once you know, it’s simple. 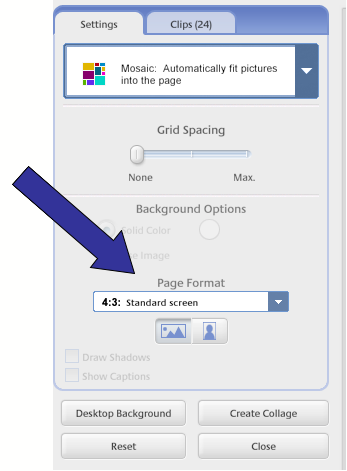 With all that in mind, choose the fotoflōt size you want for your collage, then use the corresponding Page Format. For example, if you want to make a 15″x 22.5″ fotoflōt, choose the 4×6 Page Format. The collage will fit that size perfectly. If you use other Page Formats besides those indicated, you’ll end up having to crop off a portion of the collage when you fotoflōt it.